Beautiful, charming & delightful! Those are a few of the words you will use when you tour this immaculate Evanston home! 5 bed/2 bath*Cherry Creek School District*Hardwoods flrs*Open layout accentuated by natural light*Remodeled Kitchen w/ quartz countertops, contrasting kitchen cabinets w/ plenty of storage*Plantation Shutters*Remodeled Bathroomw/ solid surface vanity top*Oversized contemporary walk-in shower*Stone paver back patio*Built-in gas grill & spacious lower patio provides a perfect outdoor living area for rest or play! The basketball hoop & tree fort/swing offer so much fun for the family! Quiet Community*2 car large detached garage*Newer Roof 2015 TruDefinition Shingles. Walking Distance from Wellshire Golf Course, ModMarket, Local Grocers, & Romans Park* Quick access to highway and light rail! 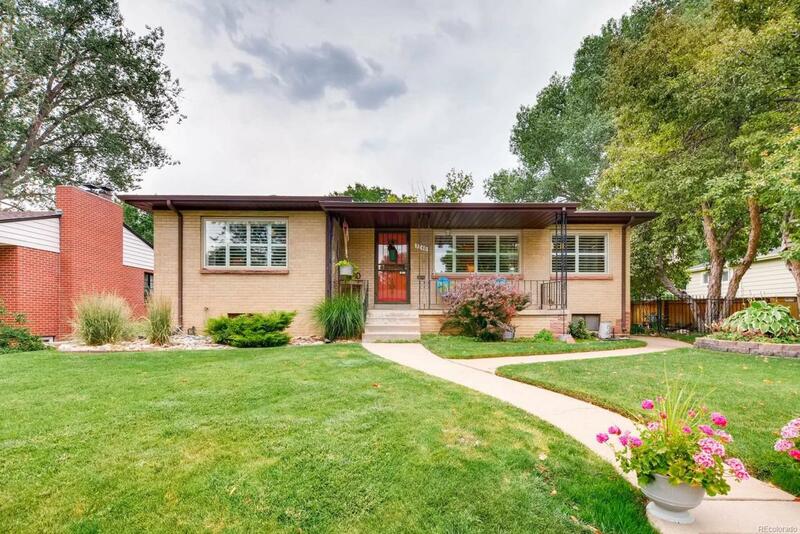 Whether you appreciate the exterior brick construction, impeccably manicured yard, large outdoor living space or open remodeled kitchen, 3240 S High Street will feel like home!